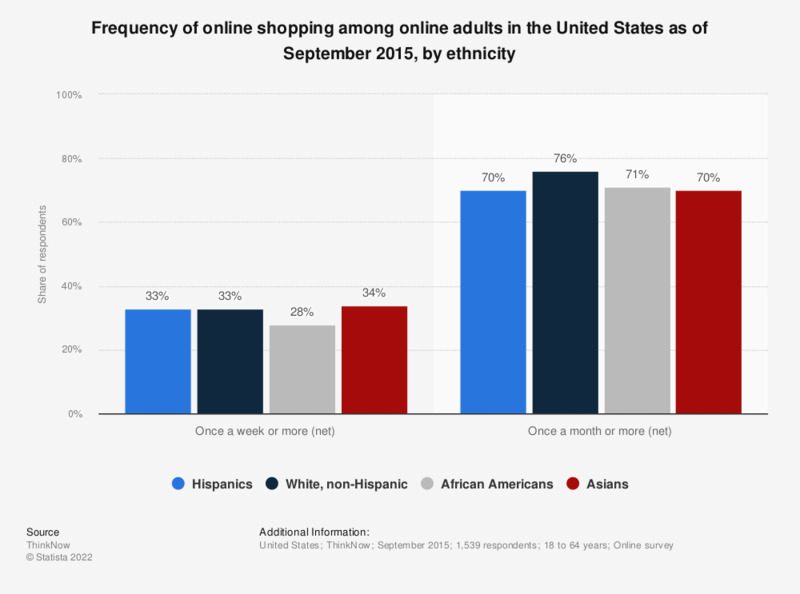 This statistic presents the frequency of online shopping among online adults in the United States as of September 2015, sorted by ethnicity. During the survey period, 33 percent of Hispanic respondents stated that they shopped online once a week or more. Q1. In general, about how often do you buy something online/in-person?